Little Arches Boutique Hotel on Barbados illustrates compassion for its local community by supporting the necessary head start for children of underprivileged backgrounds in Barbados. 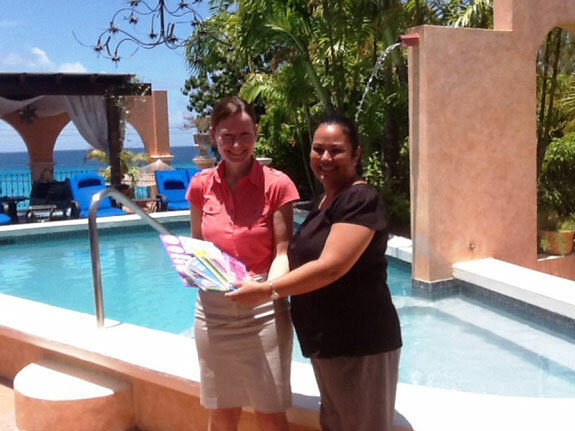 The small 10-unit hotel became the first lodging on Barbados to represent Pack for a Purpose in November of last year. Donated items of new school supplies, learning aids, arts, crafts, clothing, games and toys are collected at Little Arches, and these supplies are distributed to a certain project by Variety Club Children’s Charity of Barbados as part of Aunty Olga Memorial School Aid Program. This program is is best described as a continuation of the annual back-to-School process throughout public schools situated in most of the 11 parishes of Barbados, a program to serve impoverished families – as many as 360 children between the ages of three and 13 years old. Variety Club Children’s Charity plays a major role as Barbados’s only charity to especially support children who are sick, physically or mentally challenged. Variety the Children’s Charity of Barbados was thrilled at the PfaP program initiated by our friends at Little Arches Hotel. We had no idea that the children would benefit so much from it. 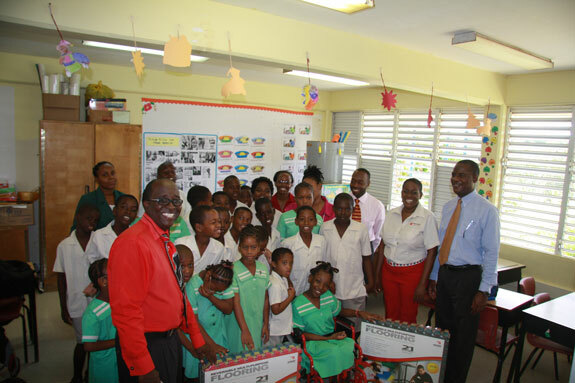 So far we have given the items to the kids in hospital on Valentine’s Day and to some children in need around the island. In return, we have gotten huge smiles from grateful children. Thank you PfaP! As stated by Donna Russell, the Executive Director. At the reception desk of Little Arches, a genuine outpouring keeps coming in from the hotel’s guests arriving with supplies. The hotel has collected roughly 37 pounds to date. Suprisingly, although vacationing elsewhere at other hotels on Barbados, travelers drawn to the PfaP concept are dropping donated and welcome supplies off at Little Arches. Pictured below is a donation from the visiting staff of Caribtours (UK), a tour operator which sends travelers to Little Arches.